Capacity from 4 to 23 Tn, stroke up to 260 mm. For carrying out push and pull operations. Black nitrated to improve corrosion resistance. 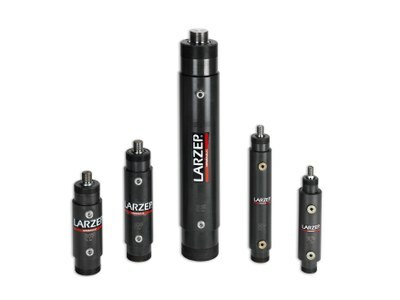 Designed for long life in production applications. Big range of mounting accessories: flange, mounting block, nut, clevis eye. It is necessary the nut to fix the flange or the mounting block. Metric threads, DM models or UN threads, DI models. Warning: DI models are not equipped with safety valve to prevent accidental over-pressure.